Frontman Connor Schofield tells us more about the band's new album. Published: 10:36 am, April 03, 2019Words: Sam Taylor. 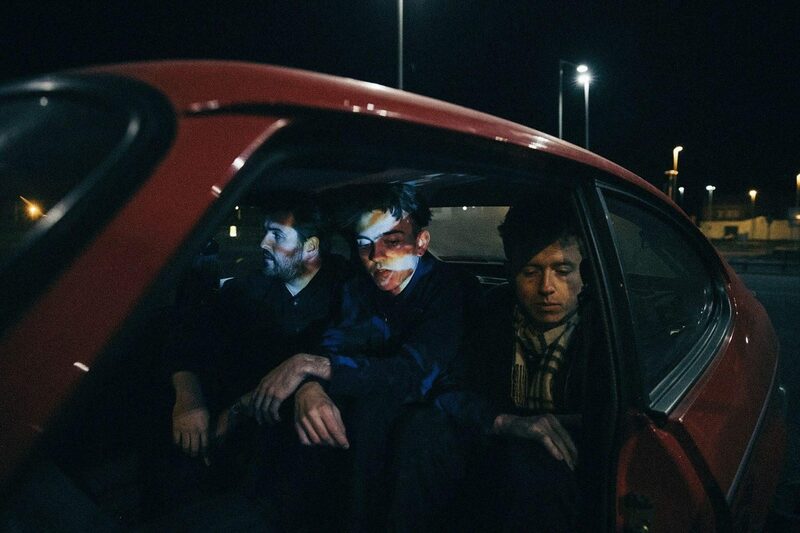 Birmingham/London dream-pop group JAWS are making another leap forward, battling with the ups and downs of growing up, with third album ‘The Ceiling’. Frontman Connor Schofield tells us more. Hey Connor, how have you all been since ‘Simplicity', any major life changes? Real life has been thrown at us all since the last record, good and bad but we grow from our experiences, and hopefully, some of that comes across on the new record. Band wise, since 'Simplicity' we've noticed the live show is now bigger and a lot more fun. When you all work jobs etc. you almost forget that people are into your band. I think people think you do this 24/7, but when you're balancing real life stuff, it's not like that at all, so when you turn up to towns you've never been too, and there are 600 people singing every word and going crazy it's a bit mind-blowing. It's what keeps us going. Was the process of putting the new album together a bit more challenging than usual for being split across Birmingham and London? Yes and no, we had more free time to write, but we had less time to play songs together in a room, so it's 50/50 but I think we got there in the end. We're happy with everything and are all real proud of it and how it's sounding. You've said ‘The Ceiling' is largely about feeling lost, were you having a difficult time of it going into the release? I guess so; I think being in your mid-20s in 2019 is maybe more difficult to past generations, that or everything gets real quickly. Either way, I think sometimes when you're not on a set path or 100% sure where you're going you can feel lost, especially in the social media era being constantly force-fed things and comparing yourself to other people. But whatever, we have a new record out, we know what we're doing for the next year or so now, it's all good. When did you first start work on the album, and how did your initial idea of what it would be evolve throughout the process? The first song we wrote that was like "yes this is the start of a record" was 'Please Be Kind', and that was summer 2017 I believe. Since then there's been countless demos and songs. A song that changed the whole thing vibe wise along the process was 'Fear', I thought if we can have a song like that we can do anything and that helped us open a bit sound wise on this record. Do you spend much time listening to your own recorded music once it's done and ‘out there'? No, not really. I listen to the demos a lot and stuff we're working on, but I would never sit and listen to my own album all the way through for my own pleasure. It's a strange one. If it's on the radio or something obviously I'm blasting it, but yeah - strange one. What sets this record apart from your first two? This record start to finish is probably a better listen, and the general quality of the songs and production has stepped up. Honestly, we wouldn't be putting an album out if we didn't think it was better than the last one. That's the way it should be, right? What bands or musicians do you think are doing interesting things with music at the mo? I really, really, really love what The 1975 are doing. I think they're changing what the general idea of a modern pop band is and should sound like, which is great. Another artist I love at the moment is Westerman. He has a song called 'Outside Sublime', and it's genius. 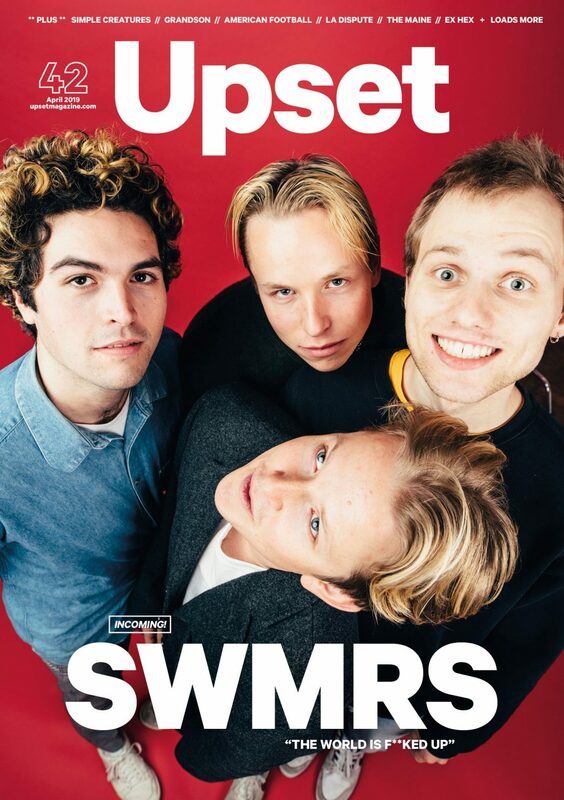 Taken from the April issue of Upset, out now. Jaws' album 'The Ceiling' is out 5th April.